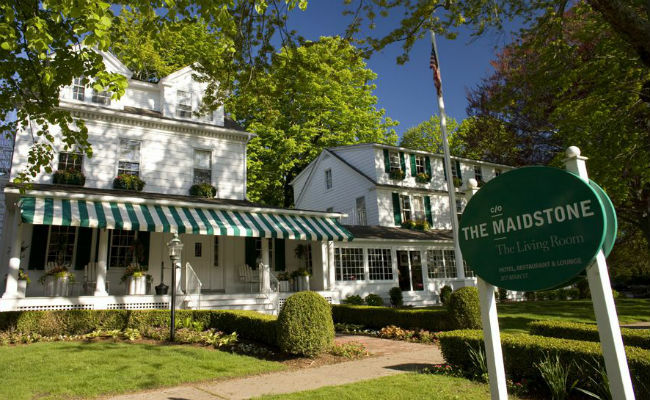 The 14th Annual Hamptons International Film Festival Screenwriters Lab takes place this weekend (April 10-12) at the c/o the Maidstone Hotel in East Hampton. The Lab, co-sponsored by the Alfred P. Sloan Foundation, pairs up-and-coming screenwriters with established screenwriters, directors and producers for a series of one-on-one mentoring sessions. “The Screenwriters Lab is a highlight of the year-round work that our organization does as it brings together a diverse range of talent from the industry and pairs them with a new wave of writers and filmmakers who are just beginning to make their mark,” states HIFF Artistic Director David Nugent. “Developing bold new work from fresh voices is at the heart of the Alfred P. Sloan Foundation’s mission,” states Executive Director, Anne Chaisson. Over fifty screenplays have taken part in the Lab since its inception. 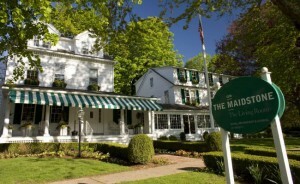 Writers of the selected screenplays are brought to East Hampton and spend the weekend in an environment where they share and discuss their projects, as they meet with established screenwriters, directors, and producers who advise them on how to develop their scripts and move their projects closer to production. During evening events, the participants meet with members of the local artistic community, HIFF board members, and friends of the Festival. In 1960, 26-year-old Jane Goodall, a loner who has long dreamed of Africa, travels to Tanzania to observe the wild chimpanzees. Arriving at Gombe, Jane must navigate the dense jungles of malaria, first love, a male-dominated scientific community, and her own social isolation, in order to complete a revelatory study of man’s closest genetic ancestor that raises the ultimate question—what does it mean to be human? Prior to filmmaking, Kendell Courtney Klein worked as an animal behaviorist with myriad species, including African great apes. Kendell has since graduated from the Screenwriting MFA program at the American Film Institute Conservatory, where she received two scholarships from the Alfred P. Sloan Foundation, was a HUMANITAS College Drama Fellowship Finalist, and had two screenplays place in the 2014 Academy Nicholl Fellowship, one ranking among the Academy’s top 50 list. At her AFI commencement in June of 2014, Kendell was elected as the speaker, her speech highlighting the indelible power of storytelling to transcend human separateness. In the late 1960s, a Norwegian truck driver was assigned a dangerous trucking route that would take him from the fjords of Norway deep into the Persian Gulf. Tragically, the driver would later be discovered as the first European citizen to ever have AIDS, and it is now known that as he traveled throughout the continent he unknowingly spread the virus. Based on true events, European Zero is the saga of a man under incredible pressure who heroically accomplished what became a legendary mission, while simultaneously beginning a plague that continues to consume mankind. Jared Goodman is an award-winning documentary, narrative, and commercial producer/director. His latest film, Captive Beauty, follows four female inmates in Medellín, Colombia, who compete in a beauty pageant held by a high security prison. Prior to that, Jared directed a documentary for ESPN Deportes called Road to the Big Leagues, which chronicles the journey to the major leagues for Dominican-born baseball players. Recently, Jared was a producer of a critically acclaimed ESPN: 30 for 30 called Brothers in Exile, and works with VICE developing and producing content for both their digital and television projects. Jared lives in Brooklyn, New York. At the edge of Iceland’s Reykjanes peninsula, two women’s lives will intersect—for a brief moment—while trapped in circumstances unforeseen. Between a Ugandan asylum seeker and a struggling Icelandic mother pursuing a career in border patrol, an unlikely bond will form as both strategize in private—to get their lives back on track. A troubled janitor has cut himself off from society, existing only in the shadows of the suburban Catholic high school where he works. Adam, a new student at the school, is a recently resettled Sudanese refugee. He has seen war, the loss of his family and the obliteration of his village. When Adam takes a job working alongside the janitor, he has to choose between sending money back to his former refugee camp or creating a better life in America, and the janitor is forced to confront his own past and his growing suspicions that Adam is part of the school’s plot to outsource him. The two outcasts struggle to defend what little they have, and their decisions could lead to tragic consequences. Philip Aceto is a screenwriter, director and editor based in Brooklyn. His short narrative film At Night was an official selection of the Milan International Film Festival and the Slamdance Film Festival. He has produced and edited branded documentaries, commercials, music videos, and over 15 seasons of network television series. He is also a composer of original music and has toured globally with the band Apache Beat. The Gloaming is his first feature-length screenplay. “We are delighted to partner with HIFF for the 14th year of this great lab and to support two wonderful new screenplays by two exciting young screenwriters: Kendell Klein’s Jane and Jared Goodman’s European Zero,” said Doron Weber, Vice President, Programs at the Alfred P. Sloan Foundation. Helen Schulman is the author of the novels This Beautiful Life (an International Bestseller), A Day At The Beach, P.S., The Revisionist and Out Of Time, and the short story collection Not A Free Show. P.S. was also made into a feature film starring Laura Linney, written by Schulman and Dylan Kidd. As a screenwriter, she has worked with Patrick Palmer, Working Title, HBO, Zoetrope, Good Machine, Hart/Sharp, Revision, and Killer/Glass Elevator. She co­-edited, along with Jill Bialosky, the anthology Wanting A Child. Her fiction and non­fiction have appeared in such places as Vanity Fair, Time, Vogue, GQ, The New York Times Book Review and The Paris Review. Schulman is presently the Fiction Coordinator at The Writing Program at The New School, where she is a tenured Professor of Writing. Nicole Perlman co-wrote the 2014 blockbuster Guardians of the Galaxy and has a Marvel comic book coming out later this year based on the movie’s heroine. She graduated NYU’s Tisch School of the Arts in 2003 with a double major in Dramatic Writing and Film Production. Since then she has gone on to win the Tribeca Film Festival’s Sloan Grant for Science in Film for her screenplay Challenger, which also placed on the 2006 Black List. The same year she was named one of Variety’s Top Ten Writers to Watch, and was listed in The Playlist’s Ten Screenwriters On the Rise in 2013. She is on the steering committee for the Science & Entertainment Exchange, a nonprofit organization that aims to bridge the gap between scientists and filmmakers. Nicole has written for Fox 2000, Universal Studios, National Geographic Films, Disney Studios, Cirque Du Soleil Films, Dreamworks, and Marvel Studios. She is currently working on an adaptation of the internationally bestselling novel Wool for 20th Century Fox. Evan Hayes currently serves as President of Production for Parkes+MacDonald/Image Nation, where he supervises all aspects of production and creative development. Parkes+MacDonald was founded in 2005 by Walter Parkes and Laurie MacDonald to develop and produce feature film and television projects. Previously, Parkes and MacDonald served as the founding presidents of Dream Works SKG, where they led the studio to three consecutive Best Picture Oscars. Prior to joining Parkes+MacDonald, Hayes was the President of Production at Story Mining & Supply Co. where he oversaw a large slate of film and television projects, including the Starz original series Outlander, created by Ron Moore. Before his time at SMS, Hayes spent ten years at Working Title Films, where he worked on such acclaimed projects as United 93, Atonement, Pride & Prejudice, Contraband, Definitely Maybe, State of Play, Green Zone, Senna, Burn After Reading, A Serious Man, Frost/Nixon, The Interpreter and Love Actually. *Following the Lab, the two Sloan Screenwriters will continue their connection to both important industry contacts and the public by showcasing selected scene readings from their screenplays by established actors at the Festival in October. Past actors that have performed in these readings include Academy Award winner Melissa Leo, Michael Stuhlbarg, Harris Yulin amd Steve Guttenberg. Learn more about the HIFF Screenwriter’s Lab.